Perfect for many 2WD/4WD Traxxas® trucks. New tread patterns for stadium trucks, too. Posted in: Duratrax, Radio Control, Traxxas. Tagged: RC, Upgrades. 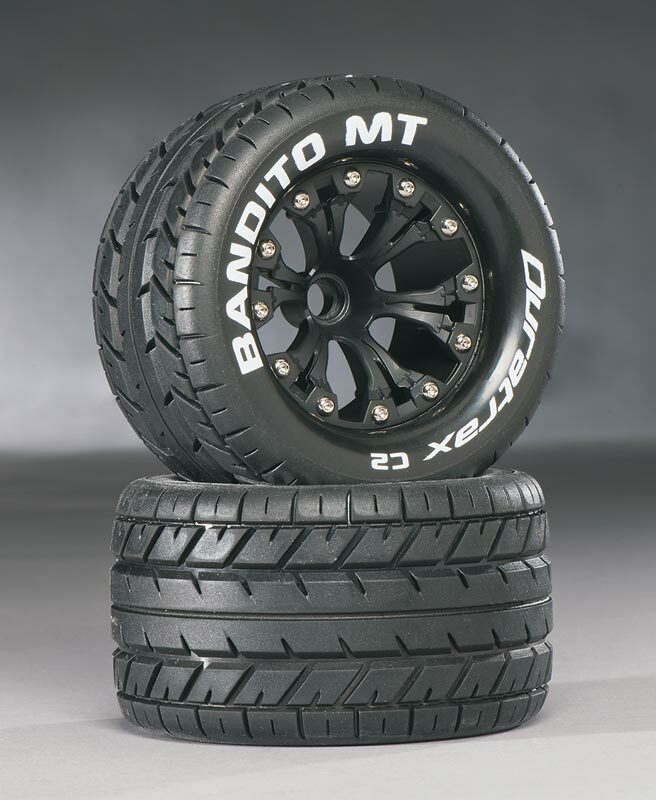 Duratrax 2.8″ basher tires for monster trucks. They fit a wide range of Traxxas® (and other) vehicles, and are available in pairs factory mounted on black or chrome rims. Most are standard wheels, but there are models with ½” offset, too. That’s true of their new stadium truck tires, too. Both are available in a wide range of tread patterns.